Are you looking for a gentle, yet effective, way to refresh your skin this spring? Glyderm Glycolic Acid Peels in Maryland are an excellent option for women and men that want to combat signs of aging and achieve smoother, clearer, and brighter skin – without irritation or downtime. So, is a Glyderm Glycolic Acid Peel in Maryland right for you? Continue reading to learn how you can enhance your complexion with this in-office treatment. What is a Glyderm Glycolic Acid Peel? A Glyderm Glycolic Acid Peel is a medical-grade chemical peel designed to improve skin tone and texture and reveal a smooth, even, and radiant complexion. The non-invasive treatment is performed in the comfort of our office and is well-suited for virtually any skin type or tone. Best of all, it is a true lunchtime peel, with zero-downtime. In fact, most patients experience little to no redness or irritation and are able to return to work immediately after with fresh, glowing skin. What Areas and Concerns Can Glyderm Glycolic Acid Peels Treat? This esterified glycolic acid peel is extremely versatile and can be used to treat mild to moderate damage on the face, neck, décolleté, back, and back of hands. It’s also able to combat fine lines, wrinkles, hyperpigmentation, dullness, and roughness. Prior to treatment, patients with have a comprehensive consultation to discuss their concerns and goals. Based on this meeting, our skincare experts will create a customized plan, including peel percentage. 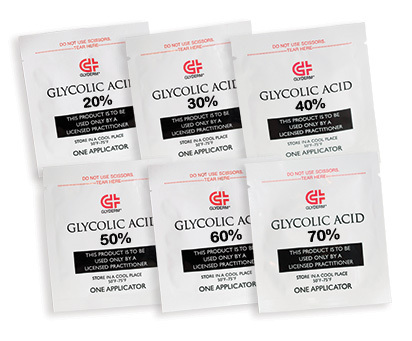 Glyderm Glycolic Acid Peels are available in 20%, 30%, 40%, 50%, 60%, and 70%. To start the process, a refreshing and hydrating Glyderm cleanser is used to remove make-up and wash away other debris. Then the peel solution is applied to the skin, and may be accompanied by a mild tingling sensation. After several minutes, the peel is removed, and skin is sprayed with a Glyderm Mist. How Many Glyderm Glycolic Acid Peels Are Recommended? Though most patients note visible improvement in skin tone and texture almost instantly, Glyderm Glycolic Acid Peels achieve best results with a series of 6 treatments, spaced 2 weeks apart. 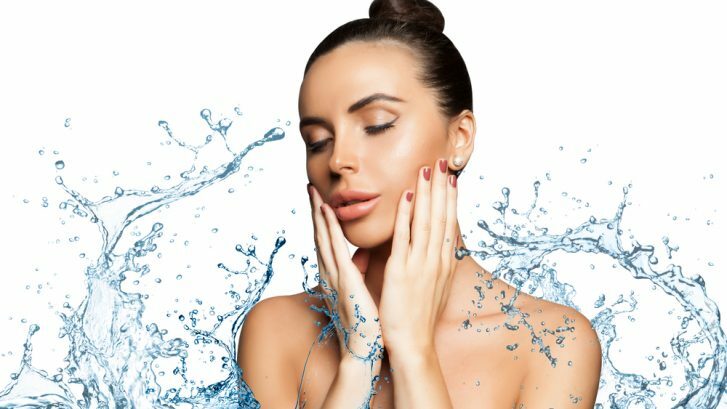 If you are interested in rejuvenating your skin with a Glyderm Glycolic Acid Peel or another medspa service we offer, please contact our office today to schedule a comprehensive consultation with board-certified dermatologist Dr. George Verghese.